It's CARtoons' 60th Anniversary Year! Back with more Hot Rod comic book-related B&W stories & artwork. 1959 was the birth of CARtoons, so let's celebrate together. We are celebrating with original CARtoons artists, characters, and more! We are celebrating by starting off with this amazing Yapps Cover and Special Guest Artist, Joe Martin from Iron Resurrection, plus a lot of surprises that you don't want to miss out on! 64 Pages of pure automotive family friendly humor. 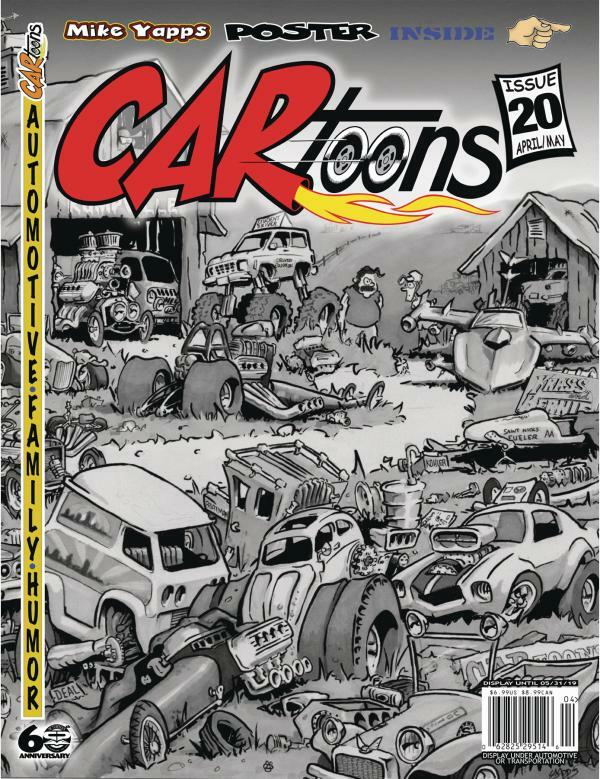 If you love cars and comics, you'll love CARtoons!